Kindly note that lunch at the Eiffel Tower is not available on the following dates: 15th / 16th / 20th March & 20th April 2019. 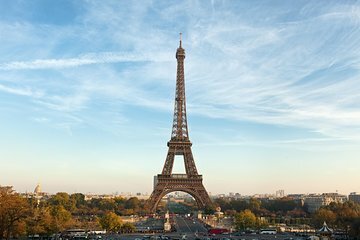 Please note Lunch at the Eiffel Tower is not available from 1st September 2019 - 29th February 2020 due to renovations at Restaurant 58, instead 3 course Lunch Cruise on River Seine will be provided. Photo stop by the Eiffel Tower.